You are going to Watch Searching for the Full Moon Episode 6 English dubbed online free episodes with HQ / high quality. Stream Anime Searching for the Full Moon Episode 6 Online English dub A Long Day in the Studio. Mitsuki and Takuto (pretending to be a cat plushie) go to the studio to do a recording while Meroko stays at home, posing as Mitsuki. When Mitsuki gets in the room she puts Takuto down on the couch. While Mitsuki learns what to do in a recording booth, a little girl named Nanami sneaks in and takes sleeping Takuto away. 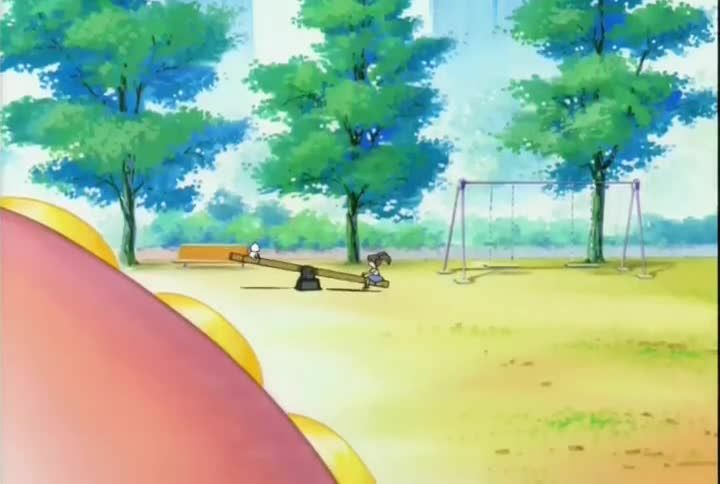 During the break, Mitsuki goes looking for the missing Takuto, so she blows on the whistle he gave her to call him. When Mitsuki finds them, Nanami refuses to give Takuto back. Nanami lies and says that she doesn’t have parents so she can keep Takuto (earlier he tried to escape but couldn’t let him so she started to cry and he came to Nanami out of pity). Then Nanami goes to a store with Mitsuki following and tells Mitsuki that her parents are employees there. Mitsuki still doesn’t believe it so she says something to Namami, and Nanami’s parents hold her. At the end, Nanami gives Takuto back to Mitsuki and Nanami becomes Fullmoon’s no. 1 fan.